As its title states, the book is a "how to" guide offering practical suggestions to get kids knowing by heart at least twenty-five passages from Shakespeare. Ludwig's advice is based on his experience teaching Shakespeare to his own children. "I'm a bit of a Shakespeare fanatic," he writes, "and it occurred to me when my daughter was in first grade that if there was any skill -- any single area of learning and culture -- that I could impart to her while we were both healthy and happy and able to share things together in a calm, focused, pre-teen way, then Shakespeare was it." Ludwig started things off by having his daughter memorize a few lines from Shakespeare's most child-friendly plays, the comedies A Midsummer Night's Dream and Twelfth Night. "As I continued with this method and expanded it to include my son," he writes "I became convinced that the way into the subject -- the way to introduce someone to Shakespeare for the first time so that it doesn't feel daunting and yet has real integrity -- is to memorize it. First a few lines, then whole speeches...memorizing is the key to everything." A companion website offers printable pages of short quotations in large type and recordings of all the major passages in the book recited by some of today's most accomplished Shakespearean actors, including Sir Derek Jacobi. Ludwig concedes that Shakespeare can seem like a "foreign language" to modern readers, adults and children alike. Breaking through four centuries of changes in vocabulary and sentence structure, as well as interpreting Shakespeare's metaphorical writing, is a challenge but the rewards are worth the effort. 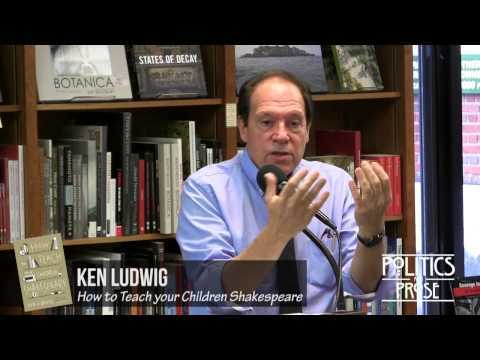 Ludwig writes -- "Knowing Shakespeare in depth has profound implications for your children. It means that they can begin to view life through a Shakespearean lens, using the questions that Shakespeare raises in his plays as a point of reference as they learn to form their own opinions...Shakespeare, as the greatest artist in the history of our civilization, has worlds to teach us as long as we have the tools we need to understand him." Ludwig graciously took the time recently to talk with The Committee Room. Q: How do you respond to the argument that modern day children just can't relate to Shakespeare and that your kids are exceptional, not typical? A: My children are average kids. Getting children to enjoy Shakespeare is all a question of how it gets introduced. If you introduce kids to it when their minds are still open, they’ll be receptive to it. They love the poetry. They love the sounds. They love the stories. And this is true of all kids, I promise you. Q: Could you elaborate a little on why memorization is so vital to truly understanding and appreciating Shakespeare? A: With memorization, you can’t cheat. When you recite something from memory, you either know it or you don’t. You close the book and you either can or can’t recite it. And by memorizing it, you get to know it in such an intimate way that you begin to understand its greatness. Q: How important is it for kids to see Shakespeare performed live? A: It is tremendously important. It is in productions that Shakespeare’s theatrical genius comes alive. But watching Shakespeare goes hand in hand with learning how to read Shakespeare. We can never take in all that Shakespeare is saying during a performance no matter how schooled we are in his plays. Going back and reading for nuance, for depth, for poetry - and to detect even half the metaphors - is essential if we're going to appreciate the plays in full. Also, since we can't see a Shakespeare performance whenever we want to - say in bed at night with only a reading light for companion - knowing how to read Shakespeare is a comfort, a joy and an inspiration. When you take the time to understand Shakespeare and then read the plays, it's like watching a performance in your head. Q: Would you like to see Shakespeare somehow introduced into the elementary school curriculum? A: Absolutely. It is essential. It should start, just the book suggests, in first grade or soon thereafter with retellings of the most accessible comedies and memorization of short accessible passages. But if you miss starting it in first grade, don't be shy about starting it in 7th, 8th, or even 12th grade. Q: What do you think of the new project that involves contemporary novelists writing prose retellings of the Shakespeare plays? For example, Margaret Atwood is doing The Tempest and Anne Tyler is doing The Taming of the Shrew. A: I think it’s marvelous. It is, in fact, my publisher, Random House, that is spearheading this project and I can’t wait to read all the wonderful retellings. In fact, I'd like to write one of them! Peter Brook, 1970 (photo courtesy RSC). Q: What are some of the most memorable Shakespearean productions you've seen? A: There have been so many great productions in my life, that it's unseemly to name just a few...I've been fortunate all my life in seeing great theater practitioners at work. If I had to name a few productions that I'm thinking about at the moment: Peter Brook’s A Midsummer Night’s Dream, the famous production that refocused all Shakespearean productions for the next thirty years. Adrian Noble’s production of Midsummer, which mirrored Peter Brook’s production in some ways but brought great new insight to the play. Trevor Nunn's harrowing Macbeth with Ian McKellen and Judi Dench. Michael Grandage's Twelfth Night with Derek Jacobi. It's my favorite play and the entire production was stunning and enormously intelligent. Also, when I went to graduate school at Cambridge University, I saw every single Royal Shakespeare Company production for three seasons. Those were the glory days of the RSC, the high tide of Peter Hall and Trevor Nunn, and the quality was tremendous. 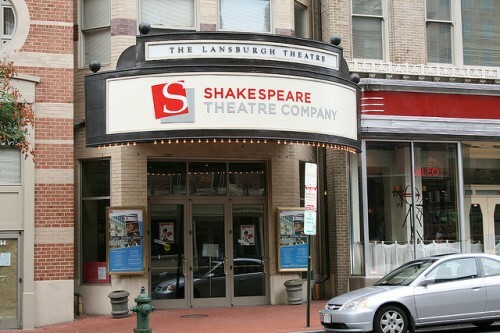 Finally, I'm fortunate to live in Washington, DC where I get to see all the marvelous Shakespeare productions by The Folger Theatre and The Shakespeare Theatre. "A Conversation with Ken Ludwig." American Association of Community Theatre website. 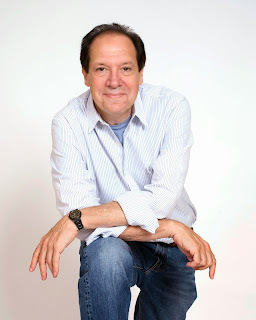 "Theater Spotlight: Ken Ludwig Interview." We Love DC (8 August 2013). If the user could't know about windows shortcut keys then they have to face many problems.windows shortcut keys so all the user have to know about windows shortcut keys.